Falls Sie sonst Fragen zu uns, unseren Leistungen und Angeboten haben, bitte kontaktieren Sie uns! Dr. Michael W. Esser leads the Dramaworks team. After studying at Cologne University (Psychology, History of Art) and the national Italian Film academy Centro Sperimentale, Dr. Esser worked as producer and content developer for Grundy Ufa and Regina Ziegler Productions in Germany. In 1997, he began parallel to his professional activities to teach at the Berlin Technical University, from which he also holds a PhD in Media Sciences. In 2000 he set up Dramaworks, which began developing content, formats and scripts for TV and cinema, and later expanded into internet and mobile communication content and formats. Michael has a long list of film and TV credits to his name, both as editor and writer, produced in Germany and Italy. His television series “Verliebt in Berlin”, (broadcast 2004-2007), won him the prestigious German Television Award and was acclaimed as the most successful series of its type in Germany. For his creative work Dr. Esser won several prizes. His script of ‘Jud Süss‘ was nominated for the Golden Bear at the 60th Berlinale Film Festival. Dr. Michael W. Esser also teaches dramaturgy and modern ways of content development at the Technical University Berlin (TU), the University of Milano, and Mediaset Rom.He has been the major force behind the development of many European projects in the field of communication. 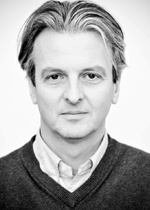 Christoph Pasour is a TV Producer. He holds a degree in Art History and Media Studies from the Freie Universität Berlin (Germany) and Edinburgh University (UK) and worked at the film department of the 3sat cultural television channel. Christoph Pasour is committed to the development, production and international co-production of documentaries, recently focusing on docudramas and TV fiction series for the German and international markets. He has collaborated with such diverse broadcasters as ZDF, ARD, ARTE, 3sat, RAI, RTVE, TV3 and YLE. Projects he oversaw as producer had been presented at festivals like the International Filmfestival Berlin, Visions du Réel (Nyon), HotDocs (Toronto), DocsBarcelona, among others. He worked as director for film projects for UN-organizations like UNECE and public-sector organizations like Swiss SDC and German GIZ. 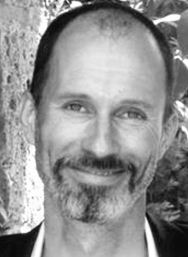 Christoph Pasour teaches in Barcelona at the Pompeu Fabra University, Open University and International University. Philipp Zimmermann is a studied screenwriter. Since 2006 he has worked on classic screenwriting projects, but has always had a focus on new media and transmedia experiences. His expertise includes classic storytelling as well as nonlinear projects, interactive media and animation. He worked for such diverse companies as the film production company TeamWorx and the new media think tank UFA-Lab. Tatjana Travlos studied German and French Humanities in Berlin and Aix-en-Provence and collected several media working experiences such as script editor at Regina Ziegler Productions or public relations for the head of Deutsche Welle TV. She worked for one year in Paris for ‘Arte’ and publishing houses. She then moved back to Berlin, where she is responsible for mobile communication and social media projects at Dramaworks. Michael Reitzel studied at the Filmakademie of Baden-Württemberg, receiving his diploma in screenwriting in 2004. Since then he has worked for renowned German production companies such as Grundy-Ufa and Phoenix Film. As a storyliner and writer he also worked for some of the most successful national television series like “Verliebt in Berlin” and “Eine wie Keine”. At Dramaworks Michael Reitzel is a writer and dramaturgical consultant.